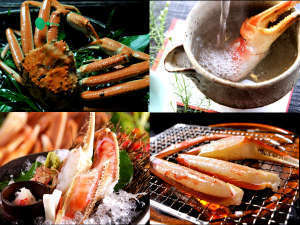 <Pleasure of Winter!> Luxurious Crab Full Course Dinner Plan, Hanakodemari. Yoshinoya is an established inn in a fisherman’s town, called Taiza, located by the Sea of Japan in Kyoto. The inn is known as a pioneer of crab dishes. Not only Taiza crab but also meat, fish, rice, vegetables and even natural water have been selected trustfully by local people. Tango's best taste art that intertwines with the best ingredients and the sensibility of chefs is created and called one-in-a-lifetime encounter. 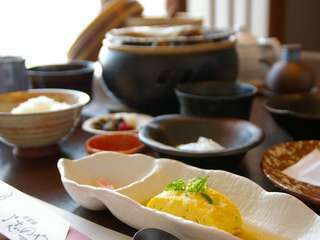 The predecessor chef Katsuhiko Fukuyama's skill and mind inherit the previous generation certified as "masterpiece of Kyoto"
It reflects the unforgettable emotions of Taiza and the taste of Japanese cuisine. 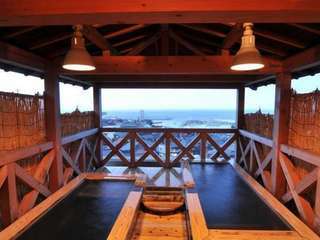 Let your tired mind be set at ease by our delicious dished and hot spring. A crab sashimi that has the flavor in its own cooking method. 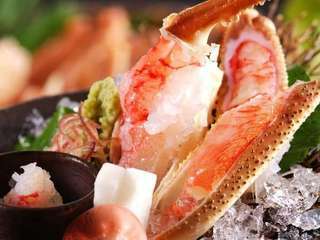 -Main menu: Crab sashimi, Boiled crab, Grilled crab and shell, Crab miso rice, Steamed shell, Crab miso soup, Crab hot pot and rice porridge. * In order to have you enjoy the best of seasonal ingredients, the contents of the dishes may be subject to change. * As our staff will serve and cordially explain each dish, there is no written menu provided at your table. * There is a small bite-sized cake for your birthday. * You can use the reserved bath for 45 minutes, which you can reserve in advance after arrival. * Our Check-in time is 14:00 and Check-out time is 11:00, so you can have your relaxing time longer. 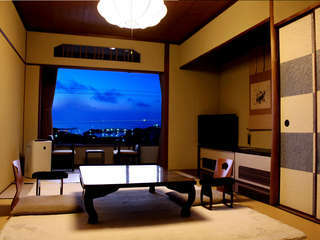 [Observation open-air bath] Enjoy the charm of the Sea of Japan which shows the expression of each season. 8-14 days before(10%) Please notify us of any cancellations or changes as soon as possible.